BUY ITModern 5 Light Linear Chandelier In Gold Finish: Take a more structured approach to your chandelier. This electroplated gold gem is hardwired to perfection. BUY ITModern Linear Suspension LED Chandelier: Add slick to your city office. This ultra-modern panel lets you hang it low over a table, or light up the boardroom with a spot up high. BUY ITModern Glass Crystal Dining Chandelier: Make your crystals form a pyramid. 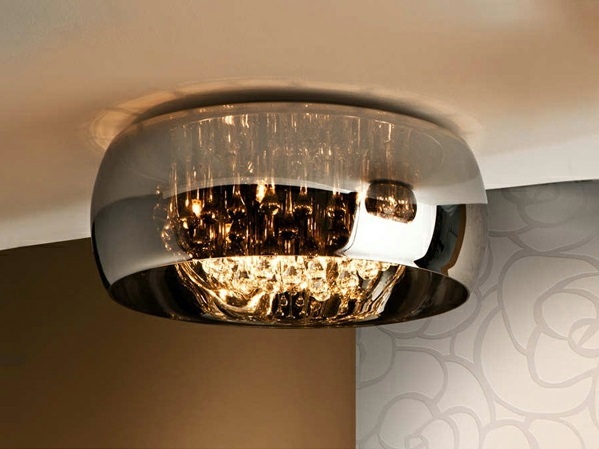 K9 crystals fall from this fixture’s chrome base, perfect for a high dining or bedroom ceiling. 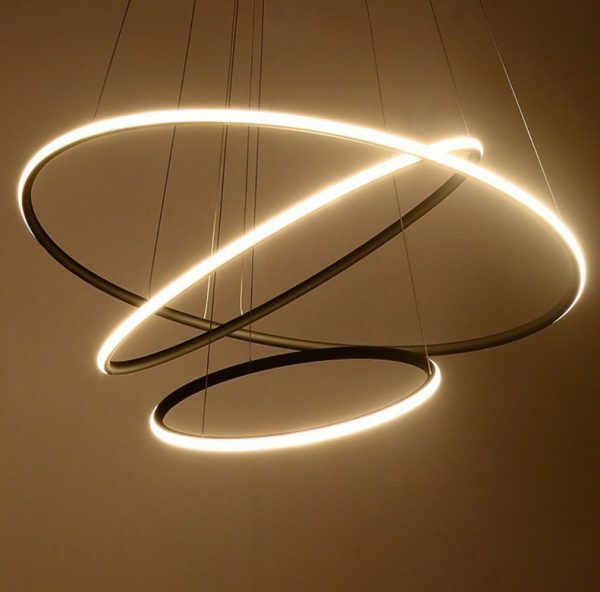 BUY ITSculptural Rod-Shaped LED Chandelier: Love Pick Up Sticks? This Billy Cotton design is considered the height of luxury. Get its metal form and bulb-tapered ends in eight custom-made finishes. BUY ITBrass Finish Cylindrical Chandelier: Hang your chandelier a little closer to the ceiling. This golden design would suit a mid-century modern loft down to the ground. BUY ITOutdoor Chandelier: Have an affinity for sparkler fireworks? These outdoor lights use solar panels and sturdy materials to combat the weather. 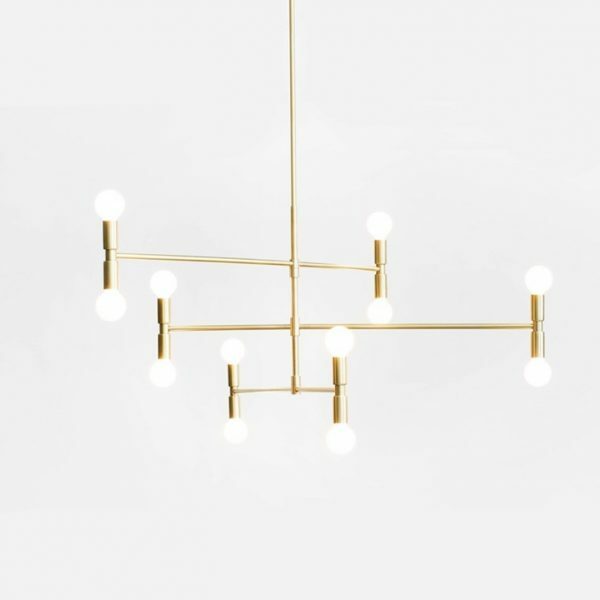 BUY IT12-Light Modern Chandelier With Gold Finish: Find more structure. This 12-light beauty is available in electroplated gold or black finishes. 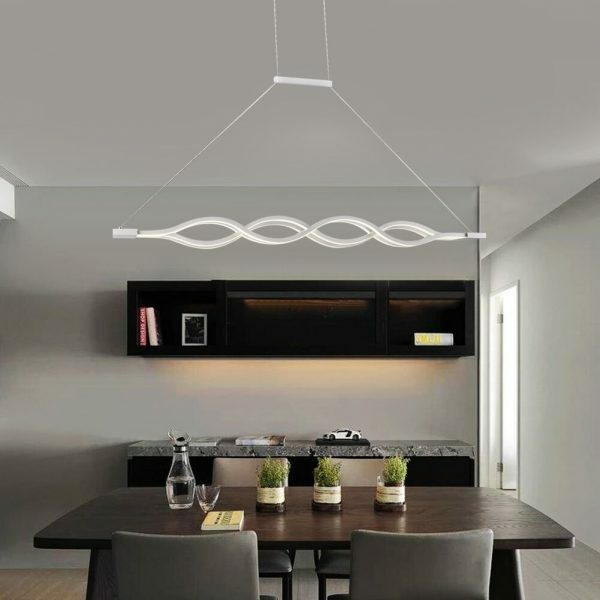 BUY ITVolta LED Pendant: Get a different angle on the candelabra. More of a pendant than chandelier, this artwork deserved to make our list for its unconventional arches. Buy its aluminium form in black or gold shades. 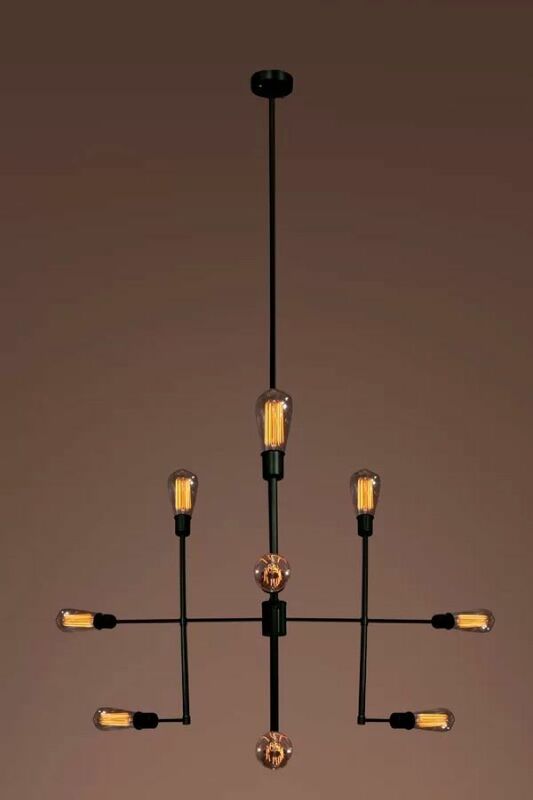 BUY ITArtsy Modern Chandelier With Cylindrical Bulbs: Think outside the classic bulb. This modern take on the Sputnik style is made with aluminium alloy and dimmable cylinders. BUY ITNickel Finish Smoked Glass Chandelier: Don’t like gold tones? Get something similar in nickel, with this chandelier resplendent with smoky glass bulbs. Place it in a mid-century modern bedroom or library. BUY ITVibia Wireflow 2D Pendant Lights: Prefer a 2D version? This vertical chandelier won Interior Design Magazine’s ‘Best of Year’ prize in 2014. Each piece features a 35-degree beam spread and lacquered steel canopy. BUY ITArtistic Spiral Crystal Chandelier: Create spirals in your home instead. 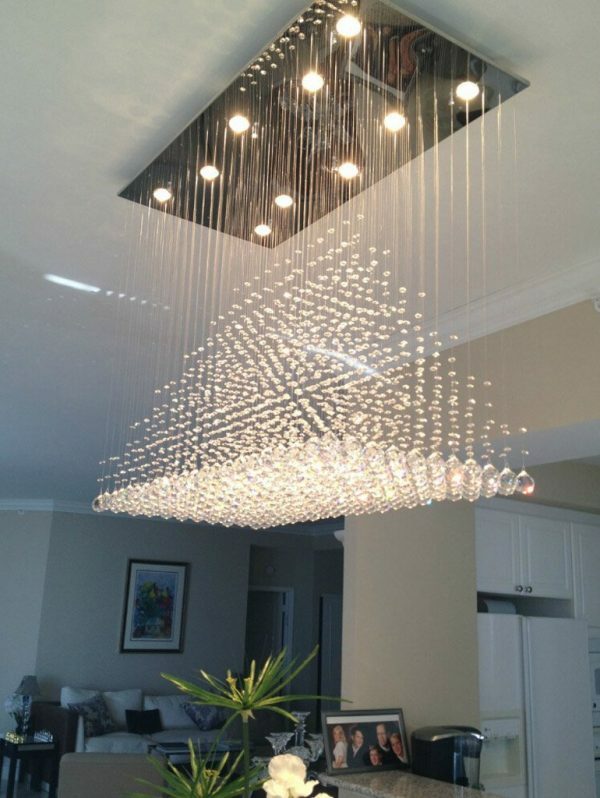 This gorgeous fixture uses K9 raindrop crystals and a stainless steel base to break convention. BUY ITModern Double Spherical Crystal Chandelier: Like the look, but don’t have the space? Give these two crystal globes a home, as they hang raindrops off wall-mounted stainless steel. 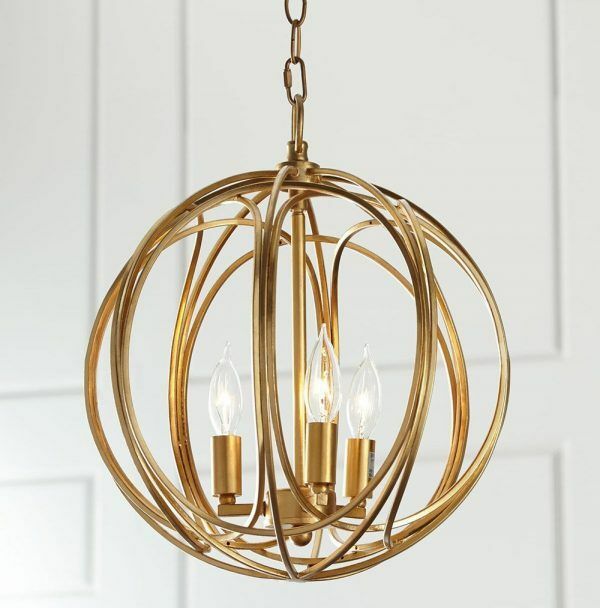 BUY ITKarst 12-Light Foyer Chandelier: Finished in brushed brass, these 12 lights are supported by a black-painted cage. Hang it above your dining table to inspire conversation. BUY ITLuxury Linear Suspension LED Chandelier: LEDs travel through this chandelier’s aluminium, creating a light that’s easy on the eyes. They’re made in the US with a five-year warranty. BUY ITModern Kitchen Chandelier: Get a modern chandelier with a twist. This LED spindle makes a subtle art piece in your dining or lounge, taking only 15 minutes to assemble. BUY ITModern Ring-Shaped Chandelier: Prefer rings instead? This circular version is made from the same aluminium and silica gel, but with more rounded features for above your kitchen or dining tables. 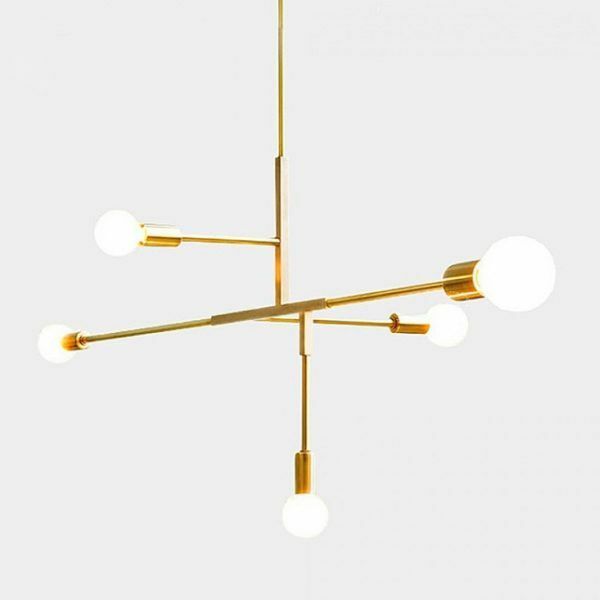 BUY ITSculptural Modern Sputnik Chandelier: Matte gold or oil-rubbed bronze finishes this twelve-light, mid-century modern design. Crafted in metal, its pulley-inspired cylinders offer a 12-month warranty. BUY ITSpherical Mesh Aluminium Chandelier: Stainless steel constructed these glowing chandeliers, a perfect bedroom addition with a one-year warranty. BUY ITModern 4 Ring Chrome & Crystal Chandelier: Go a step more glamorous. This precision-cut, crystal chandelier can lie flat or form shapes with its concentric circles. Its stainless steel frame comes with a 36-month warranty. BUY ITModern Square LED Chandelier: This chandelier changes for different times of the day. Lay its aluminium tiers flat for business time; play with its height and composition for drinks after work. 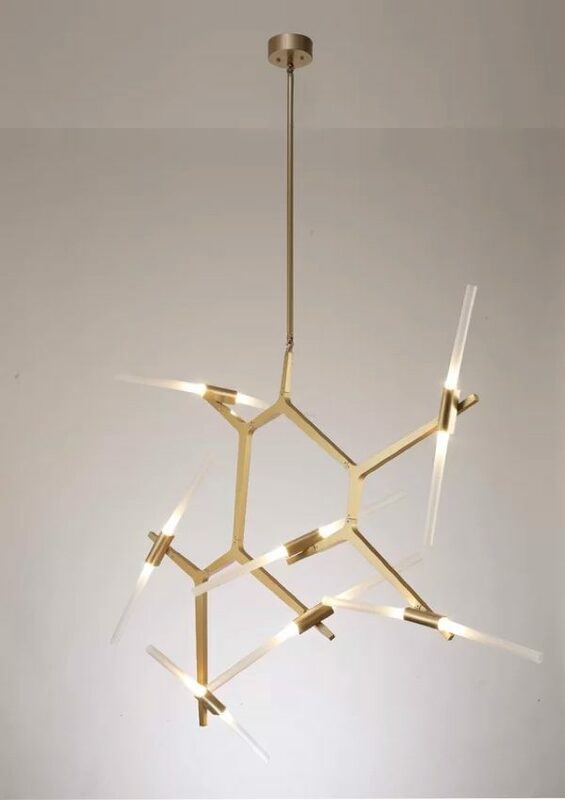 BUY ITSculptural Pendant Chandelier: Think outside the box for your home’s lighting. These stencilled chandeliers won 2015’s Elle Decoration International Design Award, by providing visual continuity of lines and light. Constructed with black wire, steel rods and LEDs, each Wireflow Sculptural 3D Octagonal Pendant is made in Spain. BUY IT8-Light Candle-Style Chandelier: Light up your dining room with a circle of Edisons. This eight-bulb chandelier is available in satin nickel or natural brass. 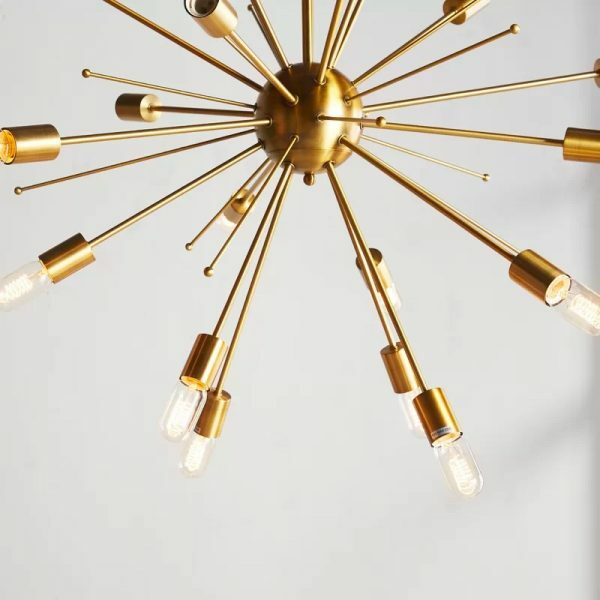 BUY ITGolden Finish Mid-Century Modern Sputnik Chandelier: Buy your very own Sputnik. This metallic piece is covered with gold and boasts 20 bulbs. BUY ITGold-Finish Metal Globe Chandelier: Iron and gold foil combine to create this antique-look chandelier, a dining room’s dream with three candle-style bulbs. Hard-wire its halogen for an energy-saving fixture. BUY ITModena 10-Light Sputnik Chandelier: Adjust the arms of your Sputnik for just the right style. 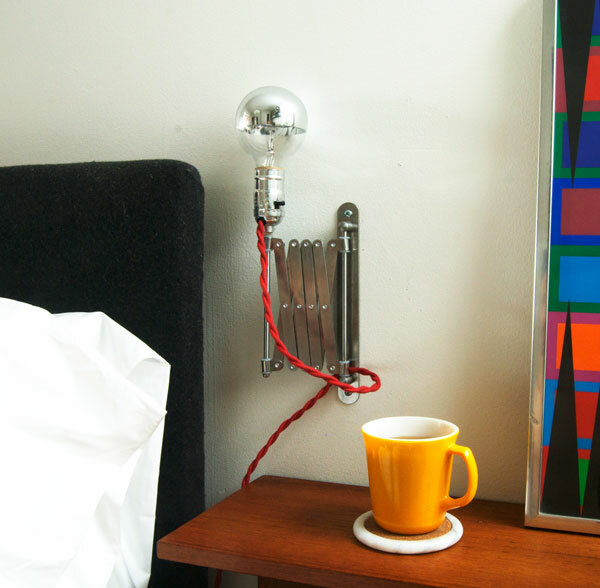 This design offers ten bulbs in a natural brass or chrome finish. BUY ITRing-Shaped Halo LED Chandelier: Get a handle on the right chandelier. Designed and handmade in Canada by Matthew McCormick, these eight-inch copper rings are sold individually or as a set. Order them eight weeks in advance, for a piece that’s truly yours. 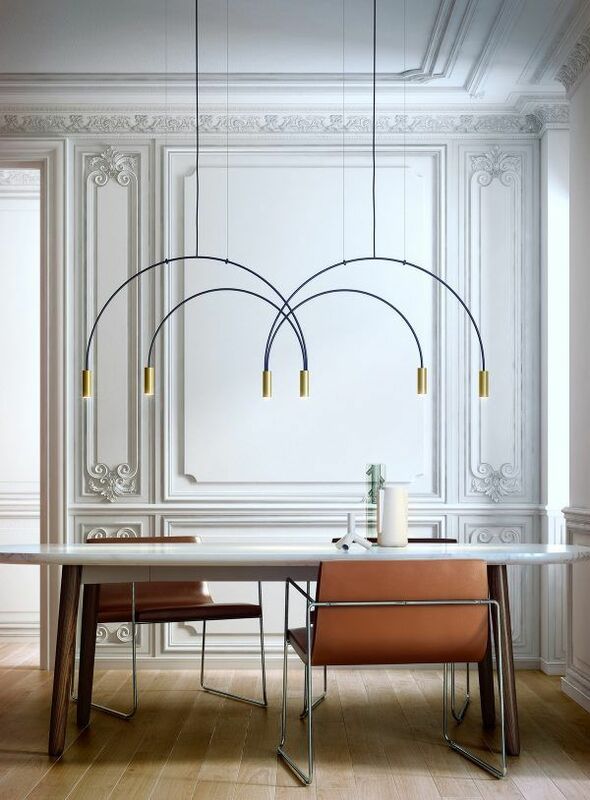 BUY ITVibia Match Suspension Lamp: Let your chandelier create its own composition. Designed by Jordi Vilardell and Meritxell Vidal from metal rods and graphite, LEDs are fixed at each line’s end. 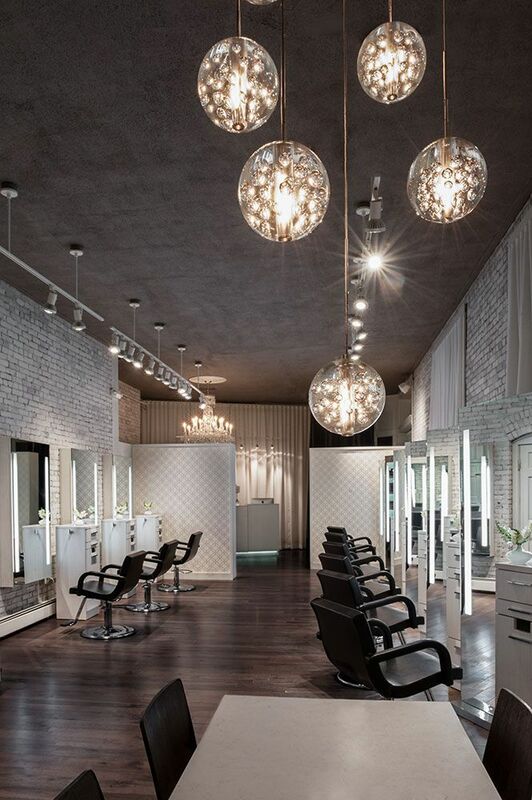 There’s nothing that says glamour quite like a chandelier. Multi-armed, multi-faceted and glittering, their traditional homes in entrance foyers and over dining tables make quite the impression. We’ve put together 45 modern takes on the chandelier, built in a variety of materials and décor styles. Hang a silver chandelier that forms a straight line, with LEDs through their centres. Build a chandelier from desk lamps, creeping together to form a spider. 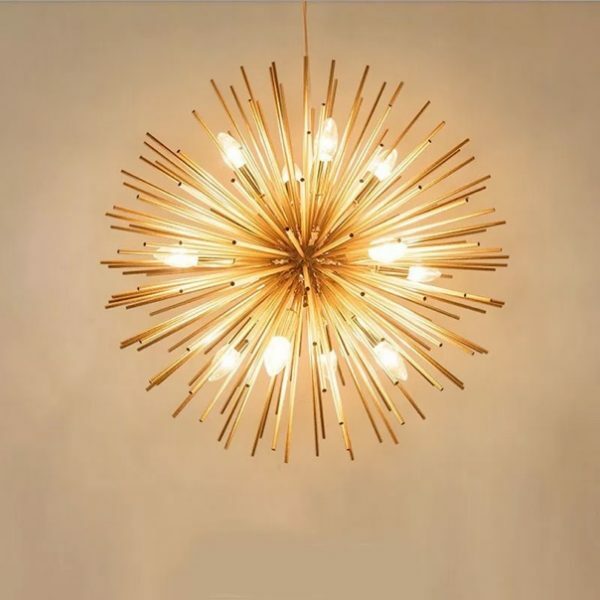 Fan your chandelier into a Sputnik, with golden rods that peek out over your desired space for dining. 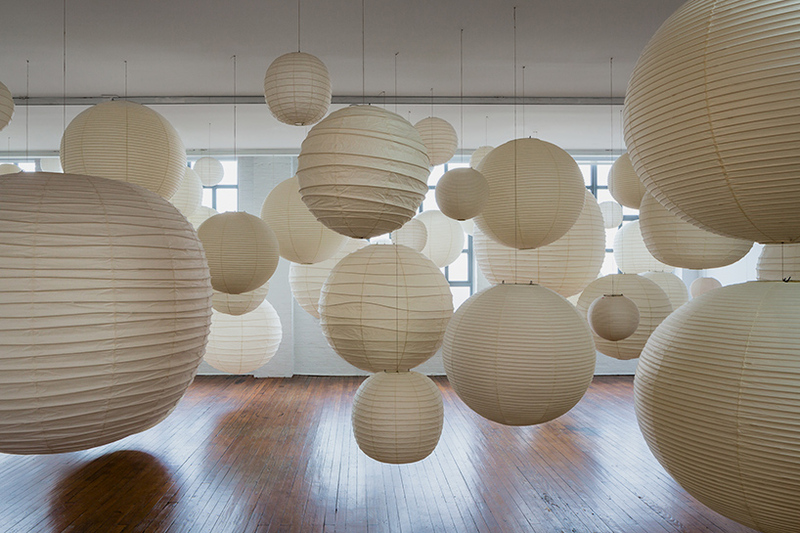 Open imagination and light up your home with these modern, non-conventional chandeliers. BUY ITStairways Glass Chandelier: Have a super-high ceiling you’d like to accessorize? 11 crystal spheres make up this elegant design, which hangs from the rafters from a stainless steel base. BUY ITMoveable Arm Spider Chandelier: Like a more structured approach? This 12-bulb chandelier offers adjustable iron arms. BUY ITModern Rectangular Crystal Chandelier: Add glitz to your foyer. This gorgeous, yet simple, chandelier combines crystals and stainless steel, polished in chrome. BUY ITModern Flush Mount Square Chandelier: Prefer something a little more demure? This diamond-shaped gem features dimmable LEDs, an anti-glare lampshade and zero flickering. BUY ITSpider Chandelier: You’ll love this spider on your ceiling. A cacophony of bulbs interlace themselves, in this remote-controlled find for the industrial interior. 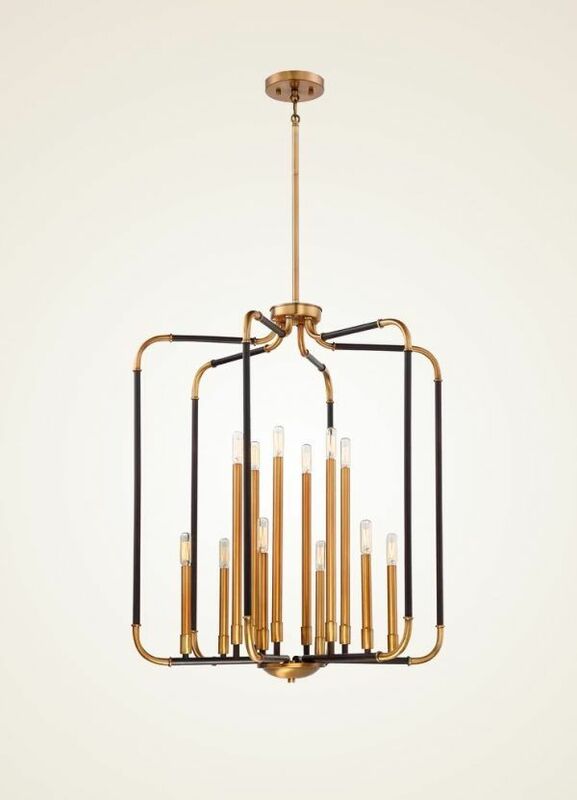 BUY ITBlack & Rose Gold Chandelier: Complement an industrial interior, with this unusual chandelier. Its rugged, copper-washed metal mingles with a 36” chain – and five-year warranty. BUY IT6 Bulb Contemporary Linear Chandelier: Made by the same brand, this metal fixture lets you turn bulbs any way you please. BUY ITModern Industrial-Style Chandelier: Prefer the drop-down style? This chandelier fuses the spider-style light and traditional crystal tiers in a nine-light, Edison-fixed creation. 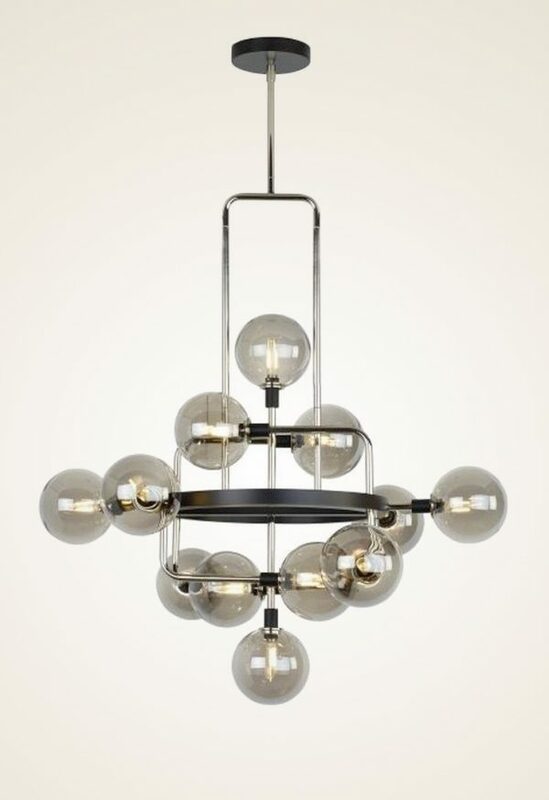 BUY ITModern Brass Chandelier With Glass Globes: Make the bulbs the feature. 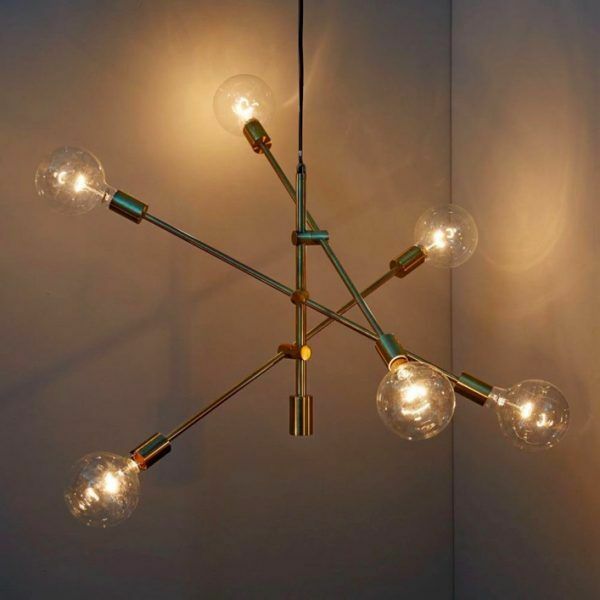 This similar Sputnik uses glass as its focus, with 12 bulbs lighting up from its metal centre. 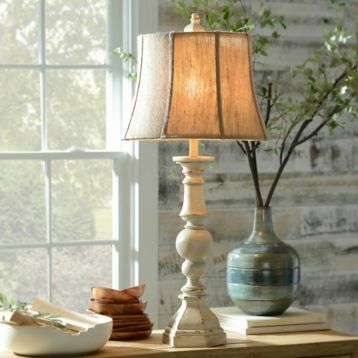 BUY ITCandle-Style Chandelier With Swivelling Shades: Shades don’t always make your light softer. Made of iron with a gold brass finish, this contraption swivels out to form a chandelier, swivelling back in for a flat, easy-to-store piece. BUY ITFlush Mount Modern Ceiling Chandelier: Spider chandeliers can creep flush with the ceiling. Eight bulbs in black metal complement dining rooms in the industrial style. 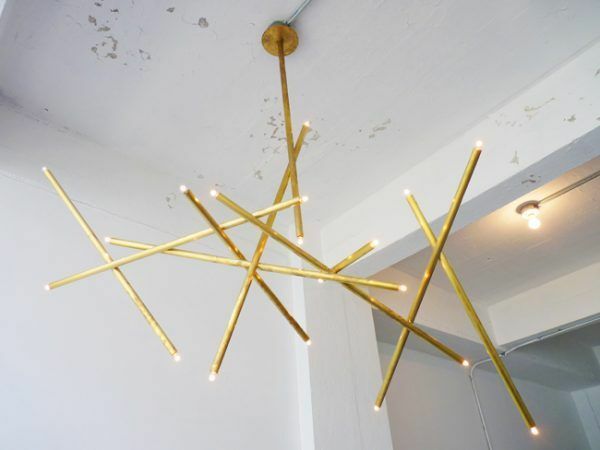 BUY ITGold Finish Candle-Like Sputnik Chandelier: Want a candelabra, but not on the table? Hang it in your hallway instead, with this perfectly-symmetrical, gold metal creation. Buy it as a set with two matching wall sconces. BUY ITIngo-Style Spider Chandelier: Collect all your desk lamps in one modern piece. Ron Gilads designed this nine-headed fixture in 2003. BUY ITSunburst Chandelier: Sunbursts brighten up a living space. This colourful creation acts as a centrepiece above your bed or table. BUY ITFlush Wall Mount White Chandelier: Buy a chandelier that’s whiter and brighter. This simple design is flush with the ceiling – and flusher still with your budget. BUY ITModern Rectangular Raindrop Crystal Chandelier: Make a real statement over your dining table. This design mimics rainfall – with K9 crystal raindrops and clouds in polished chrome. 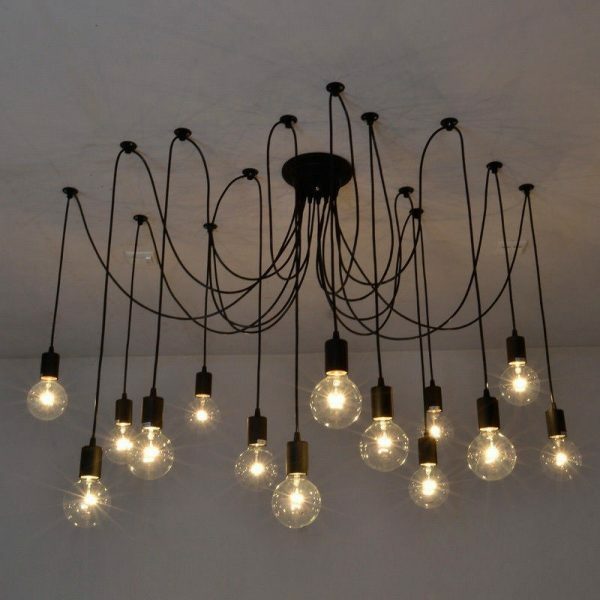 BUY ITPresnell 7-Light Sputnik Chandelier: Get your Sputnik bulbs in an unconventional shape. This brass or black fixture lights up your home with seven squat, round bulbs.